This entry was posted in Uncategorized on January 21, 2018 by WCCAdmin. Tuesday April 23 from 7:00 – 8:30 PM. Phinney Neighborhood Association, 6615 Dayton Avenue N, in the Community Room in the Brick Building. Speak Out Seattle is holding its fifth forum to hear from the candidates for Seattle District Council Position 6 on issues relating to public safety, homelessness and other top issues. The event will be moderated by an independent moderator and the candidates will be staying after the event to talk to constituents and accept donations and/or vouchers. RSVP requested. This entry was posted in City Council on April 22, 2019 by Frank Fay. Monday April 22 from 7:00 – 9:00 PM. Doric Temple #92 at 619 N 36th Street. Meet and greet Seattle City Council candidates for Districts 4 and 6 at the Fremont Neighborhood Council “Beverages and Ballots” Annual General Meeting with refreshments and a straw poll. Join Senator Jamie Pedersen, House Speaker Frank Chopp, and Representative Nicole Macri. Get an update on the 2019 Legislative Session. Share your comments, concerns, & questions. Please be aware of Senate Bill ESSB 5812 and House Bill SHB 1797 which would allow Accessory Dwelling Units (ADUs) on any lot (regardless of lot size) with a single-family house, and would prohibit owner occupancy requirements. These bills would also restrict parking requirements, impact fees, and other land-use regulations for ADUs. Senator Pedersen voted for ESSB 5812 (which has passed the Senate), and Representative Macri is a sponsor of SHB 1797. Note: It is legal now to build ADUs in the City of Seattle. 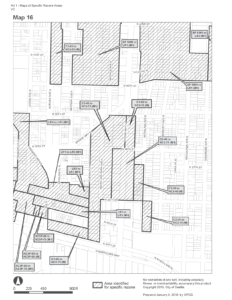 This entry was posted in Land Use, Parking, Quality of Life, WallHALA on March 15, 2019 by Frank Fay. Special Guest: John Schwartz, The Schwartz Co. / Weber Thomspon / SRM Development, presents an update on the office building project at 3524 Stone Way N (Hashtag / Stone Way Cafe). The next Monthly Meeting will be Wednesday April 3, 7 PM. This year’s Annual Meeting will be Wednesday May 15. 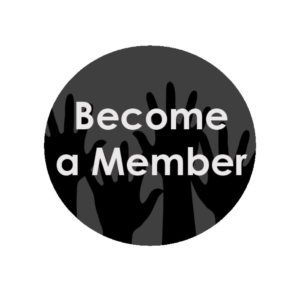 Time to renew your Wallingford Community Council (WCC) membership! In 2017, the WCC moved to a calendar year membership. You can join at any time throughout the year. Please renew or join now! This entry was posted in Land Use, Monthly Meeting, Quality of Life, WallHALA on March 6, 2019 by Frank Fay. Please attend the only Public Hearing for the Mandatory Housing Affordability (MHA) legislation on Thursday February 21, 5:30 PM at Seattle City Hall in Council Chambers. Come early to sign up to testify. Arrive by 4:30 PM to secure an earlier speaking time. Despite input from neighborhoods all over Seattle, the MHA legislation has remained pretty much the same since it was first proposed. The City’s propaganda paints a story that the MHA Legislation is the only way to increase affordable housing in Seattle. What the city does not tell you is that it displaces as much as it replaces, that it does not work to grow the city in a way that simultaneously grows livability and quality of life, and that the fee-in-lieu payments are ridiculously low. Also, while the “consent package” of amendments being considered for the legislation includes an intention, there is no adequate “claw-back” provision to revert the zoning back to present definitions should the City be sued and the mandatory part of MHA be found to be unlawful (leaving the up-zones in effect, increasing rents and property taxes, without any affordable housing units!). Come support your neighborhood, your city, and the testimony of your neighbors. Everyone should attend to show the Council the serious commitment of our opposition to MHA at the Public Hearing. This entry was posted in Backyard Cottages, Calls to Action, City Council, Land Use, Parking, Quality of Life, Schools, Transportation, WallHALA on February 20, 2019 by Frank Fay. Tell Mayor Durkan that while the vision sounds good (we all want more affordable housing, both subsidized and naturally occurring), the devil is in the details. And the details do not support passing the Mandatory Housing Affordability (MHA) legislation. Mayor Durkan and City Council need to hear from the people of Seattle before the final MHA hearing (which is February 21, during Seattle Public Schools winter break). Please email, call, and write Mayor Durkan and our City Council members with your concerns and ask them to VOTE NO on the MHA Legislation. Despite input from neighborhoods all over Seattle, the MHA legislation has remained pretty much the same since it was first proposed. The City’s propaganda paints a story that the MHA Legislation is the only way to increase affordable housing in Seattle. What the city does not tell you is that it displaces as much as it replaces, that it does not work to grow the city in a way that simultaneously grows livability and quality of life, and that the fee-in-lieu payments are ridiculously low. Also, there is no adequate “claw-back” provision to revert the zoning back to present definitions should the City be sued and the mandatory part of MHA be found to be unlawful (leaving the up-zones in effect, increasing rents and property taxes, without any affordable housing units!). Please email and call Mayor Durkan:jenny.durkan@seattle.gov; 206-684-4000; Mayor Jenny Durkan, PO Box 94749, Seattle, WA 98124-4749. 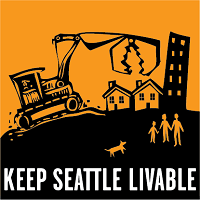 Please email and call City Council: lisa.herbold@seattle.gov, bruce.harrell@seattle.gov, kshama.sawant@seattle.gov, rob.johnson@seattle.gov, debora.juarez@seattle.gov, mike.obrien@seattle.gov, sally.bagshaw@seattle.gov, teresa.mosqueda@seattle.gov, lorena.gonzalez@seattle.gov; 206-684-2489; Seattle City Council, PO Box 34025, Seattle, WA 98124-4025. Save the Date: Please plan to attend the only Public Hearing for the MHA legislation on Thursday February 21, 5:30 PM at Seattle City Hall in Council Chambers. Come early to sign up to testify. If you can, attend the final consideration of the MHA legislation before the Select Committee on Monday February 25, 2:30 PM and before the Full Council on Monday March 18, 2:00 PM at Seattle City Hall in Council Chambers. Come early to sign up to testify. 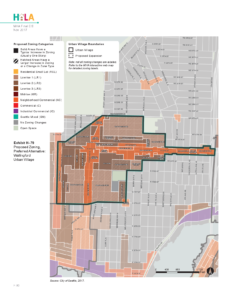 If MHA passes, properties in the Wallingford Urban Village change from Single-Family to Lowrise-1, Lowrise-2, and even Lowrise-3 zoning (See maps below). 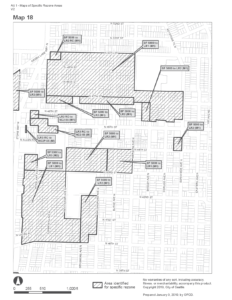 If MHA passes, 700 single-family homes will be up-zoned to multi-family zones. If MHA passes, massive developments will be allowed next to houses. Many of the up-zones change building heights from three stories up to five stories! If MHA passes, set-backs and step-backs to preserve yards, trees, and sunlight remain inadequate and may be greatly reduced by up-zoning. If MHA passes, no affordable housing units will be required to be built on-site, and the fee-in-lieu payments provide a further discount to developers. If MHA passes, it will decrease housing diversity and will drive families out of the urban villages. There are no requirements to build true family-sized three-bedroom housing. If MHA passes, it will drive out local small businesses as there are no requirements for affordable leases in new buildings. If MHA passes, property taxes increase for all up-zoned properties as adjacent properties are developed. If MHA passes, rents will increase as new market-rate units are built. If MHA passes, no on-site parking will be required in multi-unit buildings. If MHA passes, the true displacement of low- and middle-income residents, and small businesses will go unknown as there is no requirement to track existing affordable housing and leases. Whether or not MHA passes, the City (alone among Washington cities) will not have any Impact Fees to fund schools, parks, roads, and public safety! Why all the fuss? New to the HALA Grand Bargain MHA proposal? MHA Concerns – Wallingford Community Council. 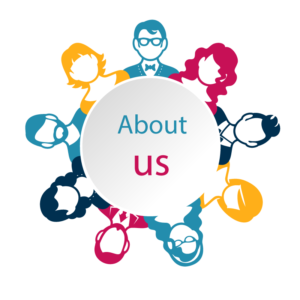 MHA Q&A – Seattle Coalition for Affordability, Livability and Equity. 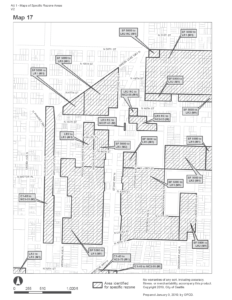 Political trouble was ‘baked into the cake’ of Seattle’s sweeping upzoning plan – Seattle Times, December 5, 2018. The Mandatory Housing Affordability Program will Worsen Seattle’s Housing Crisis – Seattle Times, December 6, 2018. Solutions to Seattle’s Housing Emergency by the Community Housing Caucus (a government led task force). This entry was posted in Backyard Cottages, Calls to Action, City Council, Land Use, Mayor, Parking, Quality of Life, Schools, Transportation, WallHALA on February 12, 2019 by Frank Fay. Mayor Durkan’s Office posted City of Seattle Snow & Ice Response, February 8th – 11th which is updated daily and covers the major issues and services affected by the weather. The Storm Response Map of the Seattle Department of Transportation (SDOT) shows which roads have been recently serviced. Traffic cameras can be viewed to see the current road conditions. The Winter Weather Map of SDOT shows the service priorities for major roads. The Solid Waste Pickup Update post by Seattle Public Utilities has the latest updates on garbage, recycling, and food/yard waste collection. This entry was posted in Mayor, Quality of Life, Transportation on February 10, 2019 by Frank Fay. Special Guest: Jesseca Brand, from the City of Seattle, explains the City’s Racial & Social Justice Equity Lens. What it is and how the city uses it. The next Monthly Meeting will be Wednesday March 6, 7 PM. Public Hearing on the Mandatory Housing Affordability legislation. Thursday February 21, 5:30 PM at Seattle City Hall. Please plan to attend and voice your concerns. This entry was posted in Annual Meeting, City Council, Land Use, Monthly Meeting, Quality of Life, WallHALA on February 1, 2019 by Frank Fay.